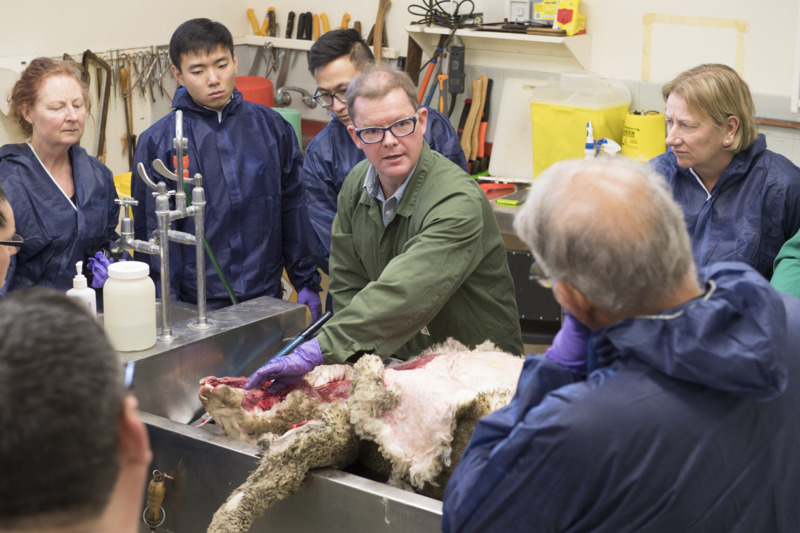 The following resources have been produced by the Department of Primary Industries and Regional Development (DPIRD) to assist veterinarians in selecting and preparing samples and conducting livestock post-mortems. Australia’s access to markets for livestock and livestock products depends on evidence from our disease surveillance systems that we are free of reportable and trade-sensitive livestock diseases. To gather this proof of freedom, DPIRD encourages and assists veterinarians to investigate cases where livestock show signs similar to reportable or trade-sensitive diseases. Are you looking for submission forms? See the veterinary forms webpage where you will find animal disease investigation, laboratory submission and subsidy claim forms. Are you looking for sampling procedures? See the sampling procedures for animal disease investigations webpage below. The following bench guides have been produced as webpages with printable A3 or A4 PDF versions available. Laminated copies of the guides are available to WA private vets on request. Contact your local DPIRD field vet for copies.